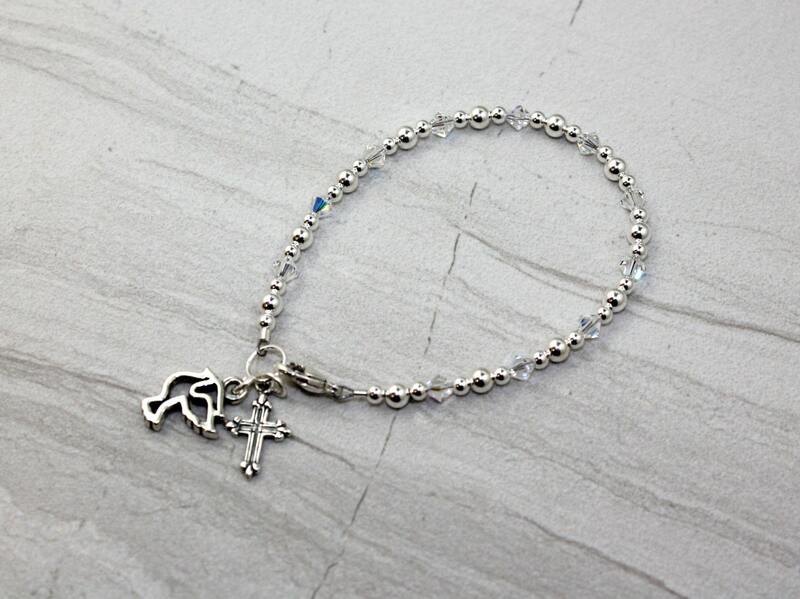 A sterling silver cross and dove representing the Holy Spirit accent a lovely sterling and Swarovski crystal beaded bracelet. This bracelet is made with a 1" extender bracelet so your special someone can wear it for years to come. Bracelet is even lovelier in person than in the photos. Thanks to Pacodesigns for working with me on changes to shipping address and modality in order to have it by Christmas Eve.